Situated 5 minutes away from Khon Kaen Airport and 15 minutes’ drive downtown, Rachawadee Hotel is the perfect getaway to experience the real Khon Kaen. Our hotel is made up of lush tropical gardens with animals enclosed for our visitors, a fine dining Thai & Italian restaurant and a cigar and whisky bar. Maybe you want to explore Khon Kaen in our luxury tour van for half day or full day excursions – whatever you want, Rachawadee Hotel can cater to your needs. 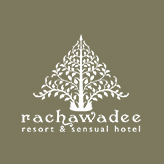 Rachawadee Resort & Hotel was built in 2005 in an eco-friendly way. It is the result of a Somjaiwong family dream to bring to their hometown of Khon Kaen, Thailand, an oasis of tranquillity and fine dining for vacationers and business travellers. The Somjaiwong family are avid travellers and have collected many decorative and operational ideas from around the world to incorporate into Rachawadee Resort & Hotel including environmentally friendly methodologies and wheelchair accessibility techniques.